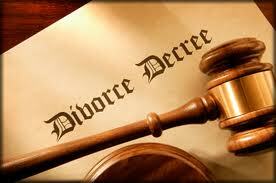 A New Orleans Divorce Lawyer can take are of your divorce process. Any time a relationship begins to fall apart, the emotional impact is substantial. Possibly, the falling apart of a marriage is the most painful type — questions arise: Where did our marriage go bad? Did I do anything wrong? Was there something I could have done to prevent this? All too often, the pain the break-up forms can turn to resentment and spite. The pain will be there. The divorce will not make the hurt go away. Only time will heal the pain. Don’t hurry the process, as there are no short cuts for the emotions. Hurricane Katrina has also placed untold challenges on family’s in the Greater New Orleans Area and throughout Louisiana. New Orleans Divorce Lawyer Harold E. Weiser, Esq. can help. A divorce is an adversarial proceeding. In other words, there are two sides in disagreement with each other. The role played by the family law attorney is challenging. On one hand the lawyer wishes to resolve the dispute as quickly and as trouble-free as possible for the client. On the other hand, the lawyer must protect the client from losing what they are entitled too . At the very least, this is a delicate balancing act. In the end, however, the New Orleans Divorce Lawyer has one obligation – to protect the legal rights and entitlements of his or her client. Quite often the only way this can be done is to compromise the desired balance. Sometimes the result isn’t completely what the client hoped for. However, when you hire New Orleans Divorce Lawyer Harold Weiser you can still be protected from losing that which you’re entitled. In Louisiana, the Louisiana State Legislature writes the laws that govern marital dissolution’s.. While it would be preferable to have laws custom written for each individual case; such an idea is not realistic. Consequently, the “field” of family law is governed by one common set of laws, which must be made to apply to each and every case. In most cases the law applies well, and the case is conducted quite smoothly. In other cases the law does not apply as effectively, and the case can be tumultuous. New Orleans Divorce Lawyer Harold Weiser can help navigate these laws for each individual situation. It is important for you to be conscious of the fact that, in some instances, there will be applicable law that may appear to work an injustice to your best interests. There is always the possibility of results that cannot be explained other than to say “that’s the law.” New Orleans Divorce Lawyer Harold Weiser will assist with any confusion and explain these situation on a case by case basis. The mindset of the spouses in a divorce action can often be the most important component of the entire case. If one or both parties bear bitterness or hostility to the other, any potential for efficiency that the case may have becomes vulnerable to compromise. While the attorney can put forth a courageous effort to maintain control of the case, the effort usually succumbs to the client’s aggression. From this comes two inevitabilities: first, the divorce is going to take longer to achieve; second, attorney’s fees are going to rise steeply, because more attorney time will be necessary. New Orleans Divorce Lawyer Harold E. Weiser will do whats necessary to make the process efficient and speedy. Of course, if the emotions created by the termination of the relationship become too overwhelming to handle, the client may want to consider getting in touch a psychotherapist. The stress that a divorcing person is put through can be punishing. Utilizing the support of a psychiatrist, psychologist, or therapist should not be frowned upon or cause the client to suffer humiliation. The experience may prove instrumental, not only in dealing with the problems at hand, but also in getting on with life. New Orleans Divorce Lawyer Harold Weiser will help you navigate the process the best was possible. New Orleans Divorce Lawyer Harold Weiser believes that the children should come first. Some divorced individuals claim that it’s satisfying to put their spouse through a bitter dissolution. Such a notion is probably nothing more than folly. Even if a husband and wife have come to hate each other, they should not disregard the best-interests of their children. What these spouses usually overlook is that such conflict, often times, results in substantial emotional harm to the children of the family. While the breakdown of a marriage may fuel resentment in the spouses, there animosity in no way justifies causing the children of the marriage to suffer also. New Orleans Divorce Lawyer Harold Weiser will advise in such a way as to prevent unnecessary emotional harm to children involved in the divorce and in child custody matters. The children can harmed and influenced in obvious and not so obvious ways. Frequently one spouse will attempt present the other spouse in a negative light, such that it is impossible for the children to perceive that parent any other way. Also, one parent may try to involve the children as his or her allies, hoping to gain some advantage over the other spouse. Or, the custodial parent may prevent the other parent from having any contact with the children – as a means of “hurting that other spouse.” Usually it is the children who end up being hurt the most. New Orleans Divorce Lawyer Harold Weiser always advises individuals to get additional help when needed. Again, do not overlook the possibility of consulting a psychotherapist This could benefit you. For example, to help you avoid improperly involving the children in the dissolution. Children also benefit from counseling if they are unavoidably exposed to the trauma of marital dissolution. One of the hardest pills for the participants in a dissolution to swallow is the cost. The principal drain on finances is the attorney. While it may be impossible to completely eliminate attorney’s fees, it is possible to keep them down. The key is cooperation. If the spouses can conduct themselves amicably, the more likely the matter can be resolved quickly. The less time the attorney spends on the case, the less time the attorney bills for. By law the spouses must deal fairly and in good faith with each other. In order to bring the matter to a swift conclusion, you must follow the law. You will save money and time by doing this. Hence, to pursue some unreasonable objective will cost you more money (i.e., vindication against the other spouse, attempting to come out of the matter better than the other spouse by hiding assets, etc.). The rules exist for a reason. Abide by them! New Orleans Divorce Lawyer Harold Weiser can help you do just that. At some earlier point in time you and your spouse exercised the privilege of being adults by marrying the other; and you each committed yourselves to the responsibilities that go along with marriage. These responsibilities do not go away just because the marriage is ending. Each spouse voluntarily entered into the marriage, now each spouse must deal with its consequences. In the final analysis, if there are any problems that manifest themselves during the divorce, their ultimate cause can be pinpointed exactly – that being the point in time when the spouses got married. A dissolution is litigation. It is two people, who have conflicting interests, entering the legal forum to have their disputes resolved. While no two cases ares exactly the same. However, there are standard procedures in every case. New Orleans Divorce Lawyer Harold Weiser can help navigate these procedures. 1. Commencing the dissolution action. A dissolution action is started when one of the spouses files a petition, a summons, an income and expense declaration, and a schedule of assets and debts with the court. The document that requests of the court that the marriage be terminated is the petition. In the petition, the husband and wife take on new titles. The “petitioner” is the person who is first to have the petition prepared and filed. The “respondent” is the other non-filing spouse. The summons is the document that puts the other spouse on notice that the dissolution action has been started. The income and expense declaration is an involved document that contains a substantial amount of economic information pertinent to the person who is submitting it. The principal purpose of the document is to give the judge some idea of the financial circumstances of the parties, so that he or she can make adequate determinations of child support and/or spousal support. The other spouse must be served once the moving papers have been filed with the court. Normally this happens within thirty days from the date that the petition is filed. Many divorces go through uncontested. In an uncontested case, the client communicates the agreements the parties have arrived at to his or her lawyer. The attorney then prepares all of the necessary paperwork, secures the required signatures, and mails the paperwork to the court for processing. Then, completing the process only takes a few short weeks. In the event the parties just separated, it is a matter of filing the appropriate paperwork and serving the other party. The first requirement is separation for six months. Then, the divorce becomes final after a quick hearing. If a divorce cannot be resolved as an uncontested divorce matter, the steps that follow may come into play. Responsive pleadings. The spouse is required to responde within 15 days of the papers being served. This response is accomplished through the completion of certain required paperwork. Usually these “responsive pleadings” will include a “response” (which answers the allegations of the petitioner’s petition) and a income and expense declaration containing economic information pertinent to the respondent. With the filing of the responsive pleadings, the case is “at-issue” (i.e. the case is in dispute, and ready to move on). Information and facts that are critical to the effective resolution of a dissolution. The bulk of the information each attorney has usually comes from his or her own client. But, other strategies for acquiring information do exist. The time for formal gathering of information from the other party begins once the case is at-issue. There are formal procedures and devices that facilitate the gathering facts. They include written questions, referred to as “interrogatories”; requests for documentation and other physical evidence, referred to as “demands for production of documents and other tangible things”; face to face interviews of the spouses by the opposing attorney, referred to as “depositions”; as well as other less frequently used techniques. Most people assume that the matter will result in a court trial. In fact, only a small percentage of cases result in a trial. There are several reasons for this. First and foremost is the shortage of courtrooms – there aren’t enough of them. As a consequence, the system has developed such that negotiation is expected and demanded by the courts. The policy is to resolve family law matters outside of the courtroom. Of course, the courtroom will put to use if a settlement cannot be reached. The pressure to settle, that the court creates, is significant. Another reason is the cost of legal fees. Trial requires substantial attorney time – resulting in substantial fees and costs. Therefore, settling outside of trial will save you money. Contact an experienced New Orleans Divorce Lawyer today at 504-358-2273.